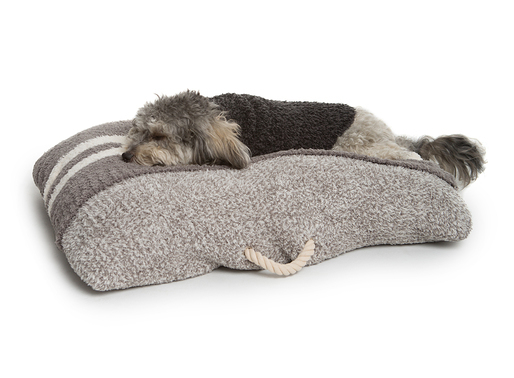 Keep your furry friend cozy in our stylish pet sweaters. 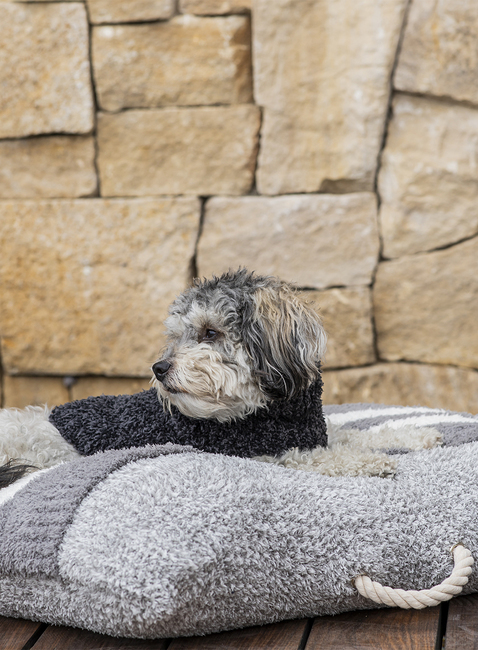 We ribbed our CozyChic feather yarn to give it a lofty, luxurious look and feel. 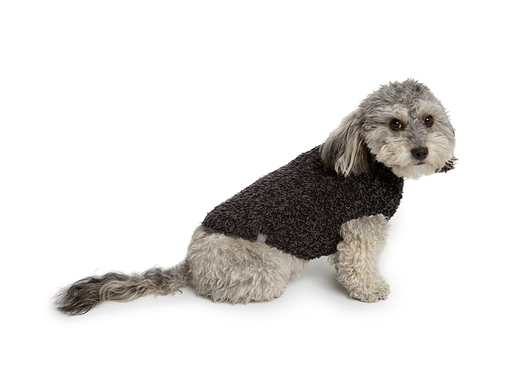 Special opening at the top for leash ease and detailed ribbed collar and cuffs for a perfect fit. Model is wearing size M	Click here to see the size chart. My six pound Yorkie fits perfectly in the XS. This is pretty much the only sweater she doesn't complain about wearing. It's definitely warm but breathable enough that she isn't trying to wiggle out of it. 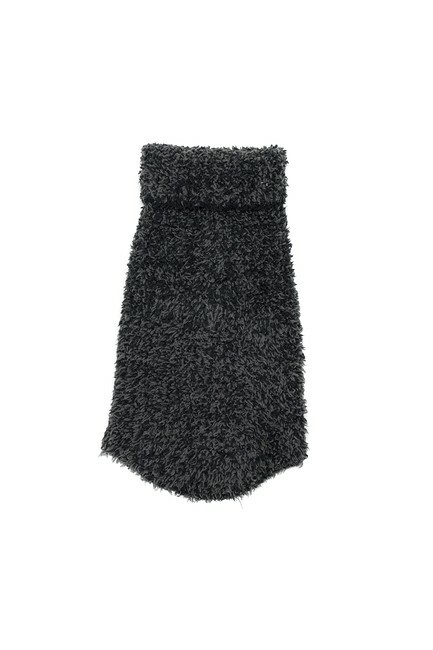 The Heathered Carbon looks great with her coloring - and it's so cute to see her in a turtleneck! 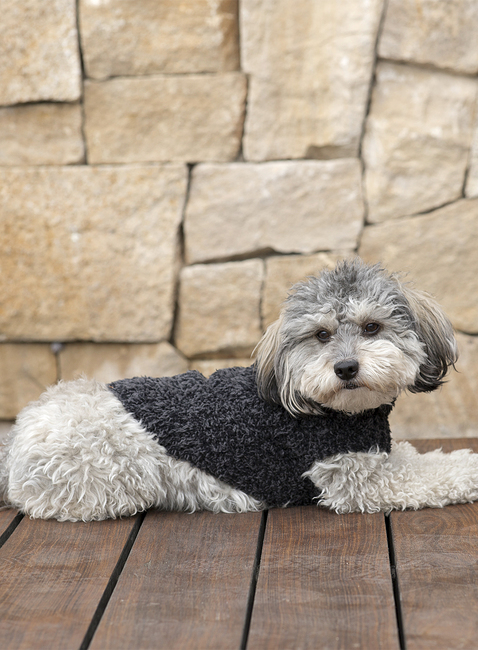 We love this sweater - our six pound Yorkie fits perfectly in the XS. It's made of the same quality fabric that all my other purchases from Barefoot Dreams are made from so I'm sure I'll be enjoying this for years to come! My chihuahua, Remy, loves this! This is the only sweater he wears happily. It’s in the 30s already here and he waits patiently for me to get his sweater on to go out. 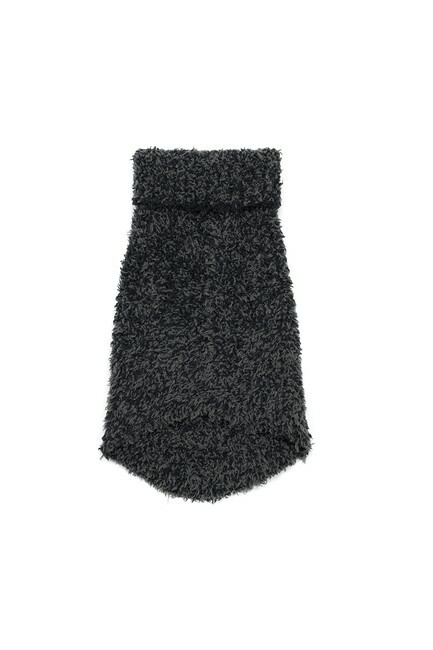 Thank you for offering this it is soft and not stiff which makes the difference in his comfort. It will wash great too, which will add to my comfort.